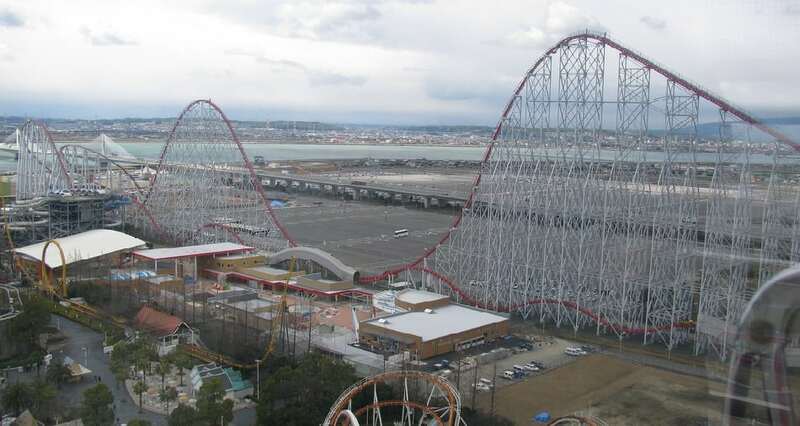 Steel Dragon 2000 is a steel giga roller coaster which was the tallest (at 318 ft) and fastest (at 95 mph) full-circuit roller coaster in the world when it debuted in 2000. However, these records were subsequently lost to Top Thrill Dragster and Dodonpa respectively but it remains the longest roller coaster at 8,133 ft. After the lift hill there is an initial drop of 306.8 feet and a 252 foot camelback hill. The train subsequently rises up and into the figure-eight shaped helix.